the ability to send a digital form of cash via the Internet. There are, however, some key differences between Dash and Bitcoin, including speed, cost and governance – with Dash coming out 'on-top' better in all of these instances. 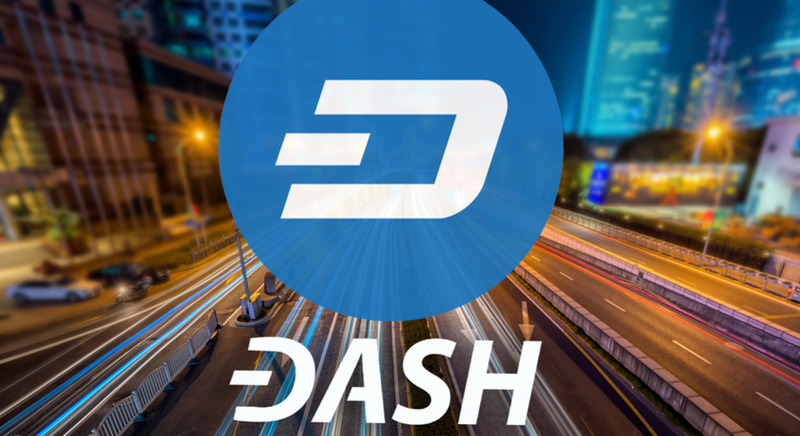 This article explains the key ideas, features, advantages, and challenges facing Dash in the competitive cryptocurrency world. Similar to Bitcoin, Dash offers anonymity as you are not required to disclose personal information, e.g., name and address. However, transactions are not public, which is a major difference with Bitcoin. Dash provides strong encryption features to make privacy possible on its blockchain, specifically, its PrivateSend option. The main difference with Monero, in turn, is that this an extra option rather than a built-in feature. Dash has worked on improving the field of cryptocurrencies in numerous ways. Simply said, Dash has worked intensively to improve on Bitcoin's flaws. Let's review those main differences. Is Dash an Alternative to Bitcoin? Dash has managed to improve on Bitcoin's original idea in multiple ways, including speed, cost, and governance. Let's review them one by one. Speed: The transaction speed with Dash is incomparable to Bitcoin. Whereas Bitcoin transactions can take up to 10 minutes or more to confirm, Dash manages to complete a similar transaction in only 4 seconds. The difference in speed is certainly striking. Costs: When it comes to costs, Dash manages to outperform Bitcoin by a large margin. Bitcoin transaction fees are apparently around $6. Dash managed to lower those fees drastically to less than half a US dollar, although these fees are expected to slightly go up when more transactions take place. Governance: Dash offers a clear way how changes can be incorporated into the development of the coin, without the need for "hard forks". Bitcoin has encountered multiple hard forks, which is when two different solutions are implemented. Bitcoin Cash is an example of a different coin splitting itself off from the main Bitcoin coin. Dash manages this process via a voting system, which allows it to implement changes relatively quickly. How are New Dash Coins Created? The creation of new Dash coins is completed via the "mining" process, which is a usual way for cryptocurrencies to reward participants in recording blockchain transactions. The time needed for Dash to mine one block is less then two and a half minutes. Miners: about 45% of the new coins are rewarded to miners as incentive to ensure that enough computers are participating in the blockchain process. The remaining 10% go to fund and support the marketing, customer support, and development team itself. Masternodes are known as the Proof-of-Stake (PoS) algorithm, which is a concept that allows a person to mine or validate block transactions according to how many coins they hold. Bitcoin, for instance, is based on the Proof-of-Work (PoW) concept, which means that Bitcoin's blockchain needs to be validated by all nodes within a network. Masternodes are different from standard nodes because they reduce the number of nodes needed to approach a transaction. This makes the total number manageable and solves scalability problems for transactions. Masternodes receive a clear economic incentive for their work: they receive 45% of the coins and also impact the future direction and course of the coin via the governance module mentioned above. What is PrivateSend and InstantSend? InstantSend. It is easy to explain the concept of InstantSend as it allows transfers to be sent pretty much instantly: a transfer is sent n less than a second. The user pays a premium for this service: it costs 3 cent. PrivateSend. The name of the feature also explains itself. The exact details of the transfer are hidden, such as information about the sender and the receiver. How is that possible? PrivateSend mixes all the transactions with each other, which makes it much more difficult to trace the exact payment trail. What Dash Price Movement Like? Dash (DASH) has shown volatile price movements since 2017, just like other cryptocurrencies. In 2014 to 2016, the cryptocurrency had a slow start, but price action took off at the beginning of 2017. Dash crossed the magical $100 border in March 2017, but that first bullish move was just the start. It hit $200 in May before making the next leap to $400 in August. The next three months, the price stayed in a sideways range between $250 and $400, until a wide range of cryptocoins developed a spike. In November 2017, the price kept climbing and only stopped until price topped nearly at $1600. This is currently the all-time high, and the price has been correcting lower ever since, building a retracement that took the price back to $330 as of March 2018. Due to its emphasis on speed, costs, privacy, and governance, Dash seems to have found a solid niche in the world of cryptocurrencies. Whether it will be able to expand its applicability, however, remains to be seen. Speaking of the price, analysing the charts is just one way of how traders can forecast future price movements. The good news is that you can trade Dash CFDs with Admiral Markets along with other cryptocurrency CFDs and a wide range of additional financial products. Explore our full product offering! Make sure to check out our insightful educational articles on chart analysis, technical analysis, fundamental analysis, and risk management to be better prepared for making trading decisions. We also most certainly recommend opening a Demo account first to test your trading plans and strategies.